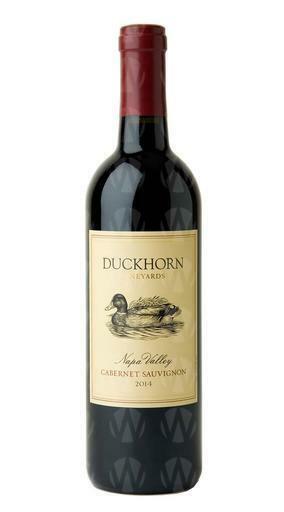 A Premier Producer of Bordeaux Varietal Wines Co-founded by Dan and Margaret Duckhorn in 1976, Duckhorn Vineyards has spent almost forty years establishing itself as one of North America’s premier producers of Napa Valley wines. From its modest inaugural vintage of 800 cases of Cabernet Sauvignon and 800 cases of Merlot in 1978, to its addition of Sauvignon Blanc in 1982, Duckhorn Vineyards has crafted a tradition of quality and excellence that continues today. Dan and Margaret Duckhorn, producers of Bordeaux varietal wines Merlot Focus Fundamental to that tradition was the early decision by Duckhorn Vineyards to focus on the production of Merlot. Though many Napa Valley wineries were using Merlot as a blending grape in the late seventies, few were exploring the potential of this varietal as a stand-alone wine. A great fan of Merlot since traveling to St. Emilion and Pomerol, Dan Duckhorn felt that this elegant varietal was under appreciated in North America. "I liked the softness, the seductiveness, the color," says Dan, "the fact that it went with a lot of different foods; it wasn't so bold, didn't need to age so long, and it had this velvety texture to it. It seemed to me to be a wonderful wine to just enjoy. I became enchanted with Merlot." Committed to Quality The quality of Duckhorn Vineyards' wines has always been based on a commitment to selecting the finest fruit. Whether carefully sourcing grapes from top sites in the Napa Valley or committing itself to estate vineyards, the winery was built on the belief that great wines begin in the vineyard. At Duckhorn Vineyards this has always meant an emphasis on site and terroir. Seven Estate Vineyards Today, the winery's seven estate vineyards are located in alluvial fans of the Napa Valley as well as on the coveted slopes of Howell Mountain. Winemaker Renee Ary has numerous vineyard blocks to choose from, each offering markedly different flavor profiles. An Artisan's Approach Dedicated to making wines that reflect the unique character and quality of the vineyards, Renee strives to understand the needs and opportunities presented by each specific terroir and microclimate. By approaching each vineyard block individually, Renee's goal is to harvest when the flavors have reached their peak and the tannins are at their softest. In the winery, Renee applies an artisan's approach to winemaking, blending from almost 200 distinctive lots using taste and instinct, not formula. Wines are barrel-aged separately by vineyard lot, utilizing an extensive barrel program that sources 25 different types of oak from 13 separate cooperages. The resulting wines combine accents from a comprehensive barrel program with grapes from diverse smaller appellations within the broader Napa Valley, including Howell Mountain, Carneros, Yountville, Rutherford and St. Helena. For nearly four decades, the commitment to crafting wines of distinction has remained at the heart of the Duckhorn Vineyards philosophy. As its Napa Valley estate properties continue to mature under Renee's stewardship, the winery will continue creating world-class wines from exceptional vineyards.